"Until 2007 we held our club show in Inverness but found public interest to be waning. Driving home we noticed the new CC, went in and met Sam. 2008 - 2010 we held our local show in the 'small' hall with a club sales table in the cafe part. In 2011 we took the full hall and had various other stands and displays in the larger part of the hall. In 2011 one of our national shows fell and Carol and myself were asked to elevate our show to national level. Our AGM agreed to trial this for three years and the show was as you see it now, with the addition of the local section last year. As this is year three we have to go back to the AGM on 10 May for members to decide if they want to continue. I have no doubt that the answer will be a YES as the show is so successful and helpers all seem to enjoy themselves so much." Here's a few images the majority from Gurn photographers but also a few from David. Individual images here and full screen slideshow here. "On a miserably damp morning in Nairn, and the rest of Scotland, the Community Centre was alive with colour as the Rock Garden Club staged their 45th annual show, this one being the third as a national show. The show attracted exhibitors from as far south as Newcastle, picking up more in the central belt and also bringing them down from the north in Berriedale. With over 300 plants on show there was something for everyone to enjoy. There were primulas, narcissus, tulips, fritillaria, rhododendrons and many, many more different types of plant to enthuse gardeners of all levels. 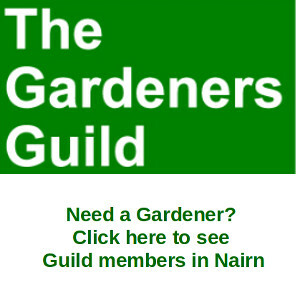 Last year we introduced a section for non-members of our club to make the show more inclusive for local growers and, in particular, members of the Nairn Garden Club. 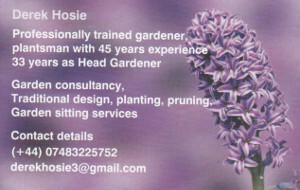 This introduction showed results this year after Helen Macfarlane-Grieve encouraged her members to ‘give-it-a-go’. This resulted in a fine display of primulas and cut daffodil and tulip flowers in vases. It also enabled me to meet Hamish and Sue Macintosh from Dalcross who put in a whole load of nice entries. One of Hamish’s entries was a Primula‘ Drumcliffe’ which won him the award for the best exhibit in the section, a fine box of alpine plants donated by Ardfearn Nursery of Munlochy. Meanwhile Sue’s excellent little Daphne was judged to be the second best entry and won her even more alpines. In the main sections of the show local members won a goodly number of the classes with Olive Bryers of Balloch showing the best plant in section 2 with a Lewisia and the Higgins from Berriedale taking home a couple of trophies as a reward for bringing down a camper van full of very well grown plants. Then, from Cromdale, Ivan McConachieto the award for showing the best plant from a first time exhibitor which enabled him to purchase a few more plants from the trade stands. Attendance at the show was probably similar to last year and many must have gone home with new plants as the trade stands were very satisfied with their day. 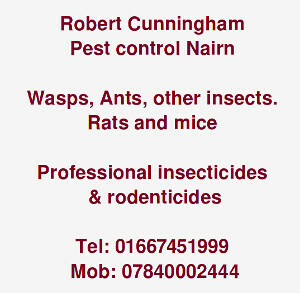 We would also like to thank the Nairn Area Amateur Athletics Club who proved the catering. I think that they were happy with their takings and show exhibitors and visitors were very happy with the provisions."